Leading flat knitting machine manufacturer SHIMA SEIKI MFG., LTD. of Wakayama, Japan will exhibit at the Brazilian Textile Industry Fair (FEBRATEX 2018) this month. On display will be the cutting edge in computerized flat knitting tech­ nology, represented by the latest WHOLEGARMENT® machines and design system. The exhibition will be a showcase for the company’s diverse lineup of its latest computerized flat knitting machines. 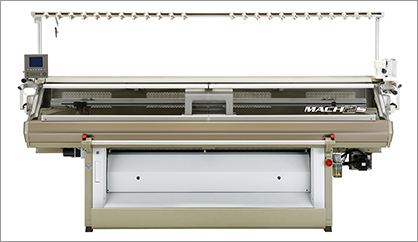 The flagship MACH2XS series features the company’s original SlideNeedleTM on four needle beds and spring­ type sinker system supporting a wide range of quality WHOLEGARMENT® knitting. The versatile MACH2S is capable of both WHOLEGARMENT® knitting and conventional shaping. The new compact SWG­N2 series WHOLEGARMENT® knitting machine offers a wide variety of production options as well as the capability for producing industrial textiles. 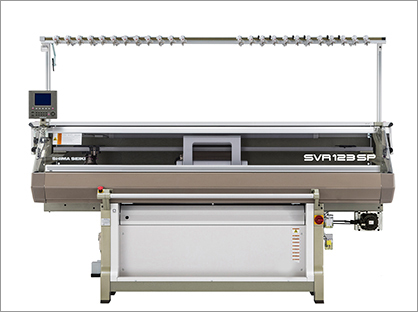 SVR123SP features a special loop presser bed and is capable of producing unique woven­like hybrid fabrics as well as technical textiles. At FEBRATEX it will demonstrate its capability by knitting shoe uppers. The SVR and SSR workhorse machines set the industry benchmark for shaping machines in the tradition of SHIMA SEIKI’s legendary SES and SSG machines. SFF provides quality semi­jacquard knitting with tandem capability for added flexibility. The SFG­I glove knitting machine rounds out the comprehensive lineup. Demonstrations will also be performed on SHIMA SEIKI’s SDS­ONE APEX3 3D design system that is at the core of the company’s “Total Knitting System” concept. With comprehensive support of all aspects throughout the knit supply chain, APEX3 integrates knit production into one smooth and efficient workflow from yarn development, product plan­ ning and design to machine programming, production and even sales promotion. Especially effective is APEX3’s capa­ bility to improve on the planning process with Virtual Sampling. Photo­realistic simulation capability minimizes the need for sample­making, effectively reducing time, material and cost from the sampling process.